A striking design that combines modern finishes with organic materials. 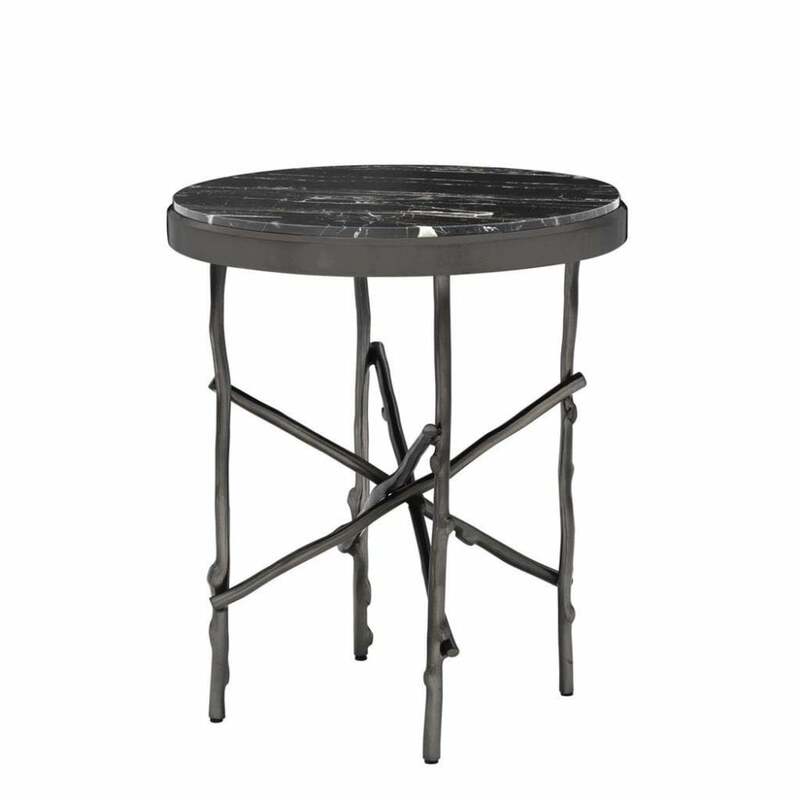 The Tomasso Side Table will make a glamorous addition to any living room scheme. The deep and dark finishes are enhanced by a glossy polish bringing out the varying tones and textures of the materials. Crafted with a black portoro marble top, each piece features a unique pattern. This natural stone is distinguished by its gold and silver veining. Complemented by branch-like iron legs in a bronze finish, Tomasso is sure to add a refined elegance to any home interior. The Tomasso Side Table looks sleek and modern in a chic city apartment or full of character and drama in an Art Deco inspired space. This designer piece also works beautifully as a statement bedside table. Get in touch for more information and style advice.